American International School Dubai reviews - add yours here. Not to be confused with the American School of Dubai in Al Barsha (ASD) which is a western school for North American expat students. AISD is an Islamic school for Arab and other Muslim students. 2013-2014 fee schedule not confirmed. Decrease in fees seems odd, no explanation provided, possibly incorrect information provided. 2011-2012 fee schedule not supplied. 2010-2011 registration fee AED 1000 (if admission cancelled, AED 500 refunded). Bus transportation available from Deira AED 4,500, Bur Dubai AED 5,000, New Dubai AED 6,000, Sharjah AED 5,000, Ajman AED 6,000. Hopefully transport costs are per year, not per term. 2008-2009 - according to the KHDA, Al Andalus School (or AISD) applied for a 30% fees increase for 2008-2009 but was only allowed a 16% increase (same as limit for most schools). 2007-2008 fee schedule from KHDA, not confirmed and conflicts with previous information which was that fees were AED 9,180-16,500. Higher fees might be for 2008-2009. Same website at aisschool.net and www.aisschool.net and www.aisch.net. Additional or updated email address info@aisschool.net. Another one is amintsch2008@gmail.com but might be out of date (KHDA information). 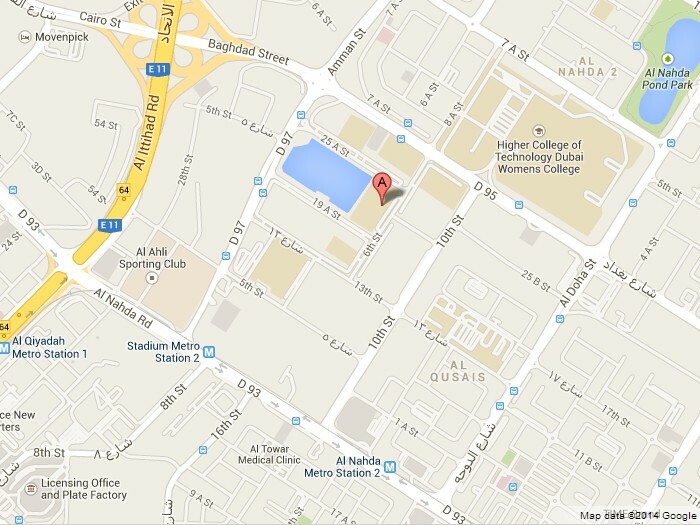 Location is in the Al Qusais school zone (Al Ghusais), Al Qusais 1 community, near Lulu hypermarket. Next to The Crescent English High School. Location map link from AIS website is incorrect (if it is still showing the empty plot of land behind Dubai National School), location marked on Google Maps is correct. Some American International School of Dubai (AISD) information updated (see forum post). Date of name change from Al Andalus School to American International School in Dubai was September 2006. Appears to be the same website at www.aisch.net and www.aisch.ae, although www.aisch.ae forwards to http://andalussch0.web147.discountasp.net/ais-final/index.html. Ignore www.aisch.com though (is spam when checked, with nasty popups). Unknown if email info@aisch.ae still valid (updated to info@aisch.net). Principal's name is Othman Abdel Bari according to AISD website, but spelt Othman Helmi Abdalbari according to latest information received. AIS Dubai (AISD) accredited by the Commission on International Trans-Regional Accreditation (CITA) 11 May 2007. Domain www.aisch.ae forwards to the clumsy looking URL andalussch0.web147.discountasp.net/ais-final/index.html. Don't panic. Also or previously called Al Andalus Private School, Alandalus School, Al Andalus School Dubai. Still listed as the Al Andalus School in the KHDA directory. There is also an Al Andalus Nursery in Al Ain and an Al Andalus Academy in Al Ain, and there is an American International School in Abu Dhabi. None are related to AAPS or AIS in Dubai. The domain www.andalus-school.com is spam, www.alandallus.com and www.alandalus don't load, unknown if the domain www.andalus.sch.ae is related to the school. AISD is unrelated and quite different from the American School of Dubai in Jumeirah [update moved to Al Barsha]. Difference is mostly that AISD is an Islamic school, ASD is a western expat school. Both offer American curriculums. There is a report (undated) that the Pan American Academy Limited (PAA) and AIS Dubai plan to establish a Canadian International School program from grades 1 to 12 using the British Columbia curriculum. See Pan American Academy Dubai for more information. Many popular schools are full for 2019-2020. New schools in Dubai might have places. Allow extra for books, extra-curricular activities, uniforms, trips, etc if not included in school fees. Study in Dubai - list of curriculums and qualifications. Teaching jobs in Dubai - how to apply, best schools, scams to watch out for. Teaching in Dubai - general information about working as a teacher in the UAE. www.dubaifaqs.com/american-international-school-dubai.php (PDF and print version).